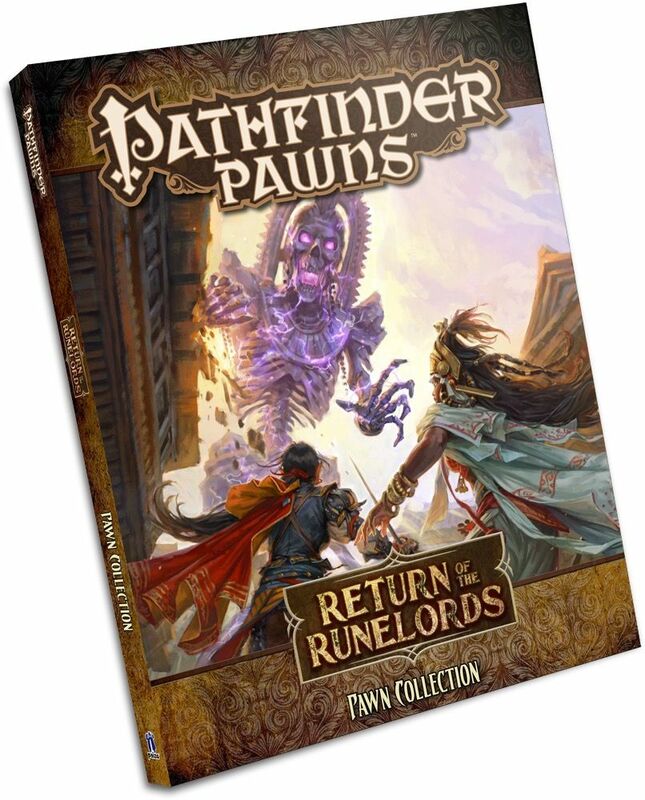 The foes and monsters from the Return of the Runelords Adventure Path are ready to rule your tabletop with the Return of the Runelords Pawn Collection, featuring more than 100 creature pawns for use with the Pathfinder Roleplaying Game or any tabletop fantasy RPG! Printed on sturdy cardstock, each pawn presents a beautiful full-color image of a monster or NPC from the Return of the Runelords campaign, including evil wizards, foul undead, sinister fiends, and even potential friends and allies. The pawns slot into size-appropriate plastic bases from any of the Bestiary Box collections, making them easy to mix with traditional metal or plastic miniatures. 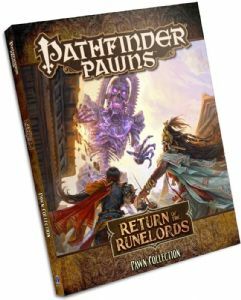 The Return of the Runelords Pawn Collection, together with the creatures and characters from the Pathfinder Pawns: Bestiary Box and Pathfidner Pawns: NPC Codex Box collections, provides pawns for all six adventures of the Return of the Runelords Adventure Path.